Supplies of plantains from South America are steady right now. Given plantains are in stronger demand in the colder months of the year, prices can skyrocket, especially for the holidays as demand outweighs supply. “There’s year-round demand for plantains. But in the colder months, it’s naturally stronger for an item like this because it’s a cooking fruit. It fits in with traditional Hispanic dishes and those of other ethnicities who that are the main users of plantains,” adds Goldberg. While plantains are a popular staple item with the Latin American population, it is reaching beyond that specific culture. 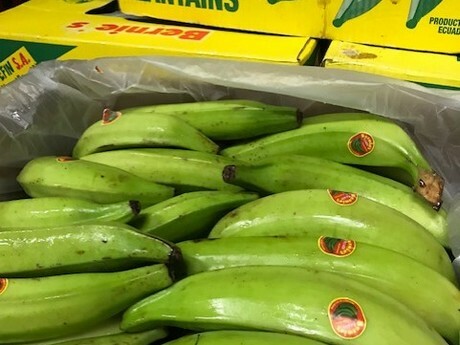 “All retailers carry plantains and consumption has increased over the years as more Americans discover the “King of the Tropicals” for the first time,” says Goldberg. 2019-04-15 "First Indian mangoes will enter Chinese market soon"